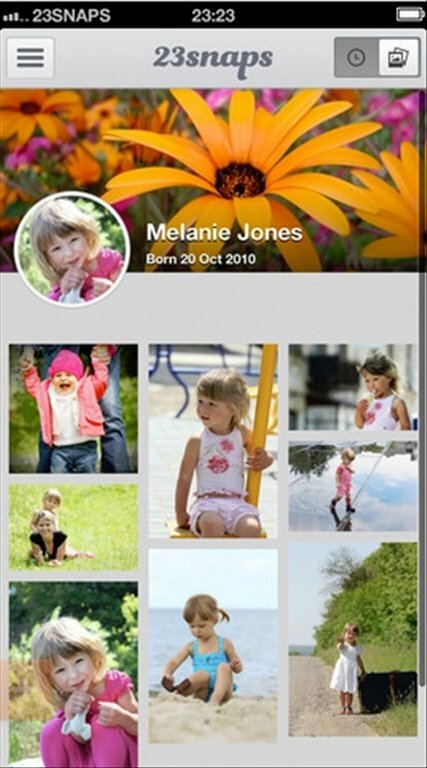 With 23snaps you can create albums with photos and videos for your children. 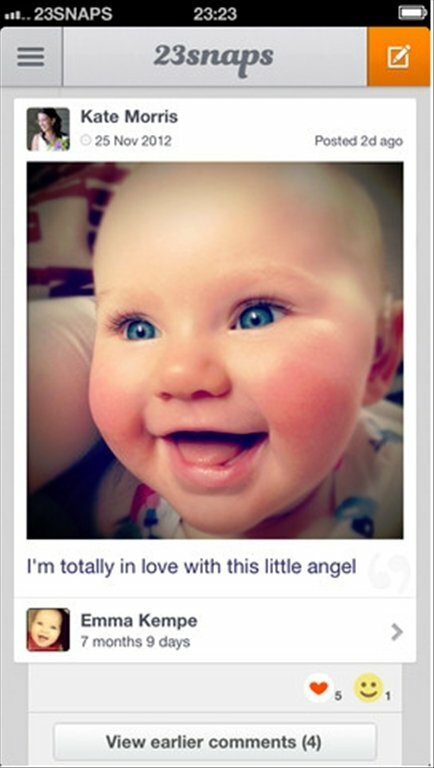 Download 23snaps free for iPhone, document their lives and watch them grow. In the first years of your children's lives, there are many achievements and special moments that you'll never want to forget. With 23snaps you can capture them forever. Download 23snaps free for iPhone and create beautiful family scrapbooks. The book of your children's lives. 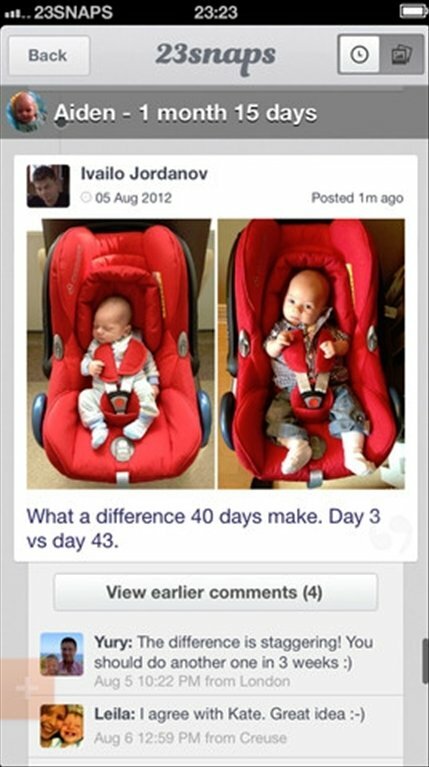 23snaps allows you to create a timeline where you can add photos, videos and notes about your children. 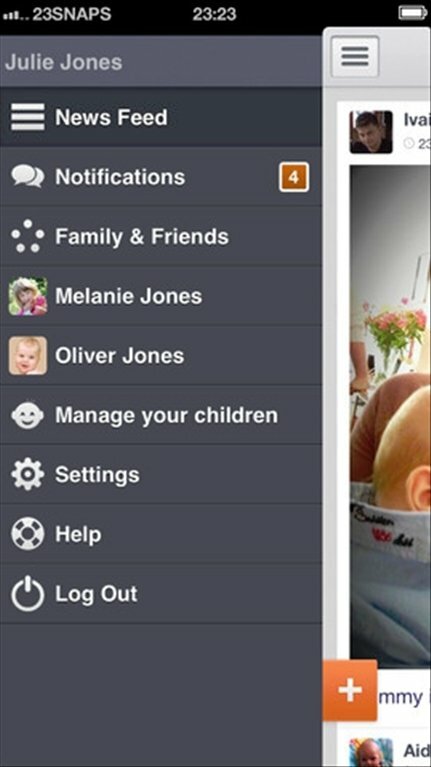 On top of this, you can share all these events in real time with family and close friends, by sending notifications. 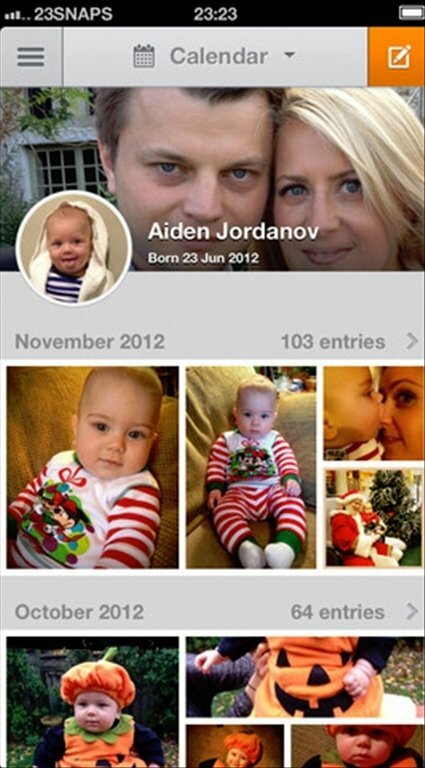 Another great advantage of using 23snaps to create photo albums is that you can manage various profiles individually and make independent albums for each of your children. The creation of collections allows you to sort photos into different categories. 23snaps will also let you add filters and frames to your images, achieving creative effects. Download 23snaps free for iPhone, and you'll get hold of the perfect tool to immortalize the best moments of your children's childhood.